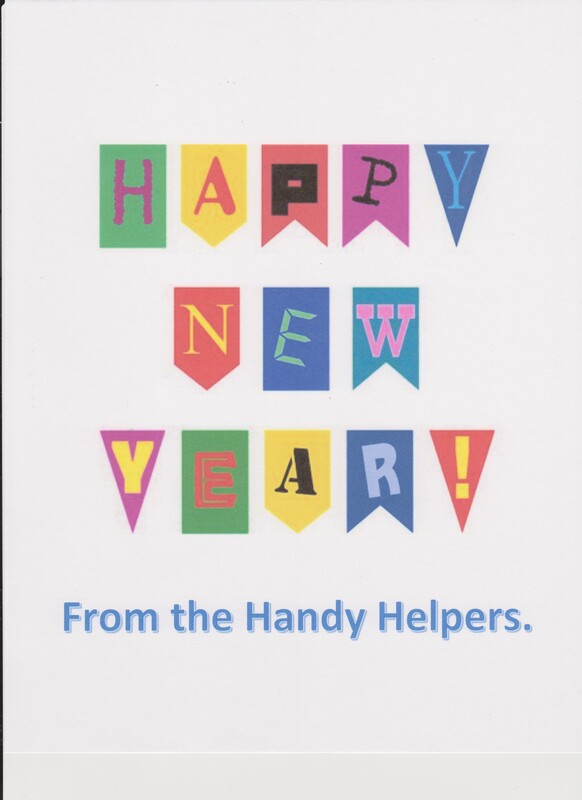 Like many of you, the Handy Helpers have been thinking about their hopes and expectations for 2015. These are their New Year’s resolutions. My name is Amber Snyder. I’m in the fifth grade at Bluesky Elementary school. This year I am going to work on finishing what I start. Sometimes I get distracted and I leave a job unfinished. My mom tries to help me get organized, but I don’t always remember everything. If I can get my homework done on time and do my chores without being told, my parents will be very happy and so will I.
Hi, I’m Melissa Peterson. In 2015, I’m going to try to be nicer to my little sister Trisha. She can be such a pain, it’s going to be hard not to yell at her, but I’m going to try. I’m also going to try to be more patient with my dad. He was in the army in Afghanistan. Now he’s home. I don’t like the way he bosses me, but I’m going to try to be a little more understanding. I know he has problems too. Yo, Spike here! My New Year’s resolution is to stay out of trouble. It’s not easy to be a good kid all the time, but I can try harder. I hate being picked on by my sisters, and sometimes I do mean things to them. Jennifer’s boyfriend Todd told me to hang in there. He said that pretty soon my sisters will go to college and I’ll be an only kid. I can’t wait! My name is Logan Green. I live with my mom in Bluesky. My dad is an airline pilot. He isn’t home very much. Sometimes it makes me angry to see my mom so sad when he’s gone for a long time. I’m going to try to be the best son I can be. Maybe then my dad will come home more often. My name is Beth Anne Riley. I like to be with my friends and help my mom and dad. Mrs. Henry is my friend. I like to help her too. My mom says that I need to listen more. That is what I want to do. It will make my mom happy and my dad. Happy new year from Laura Thomas. My resolution is to help my mom more. She is very busy with her dance studio and taking care of my little sisters. I like to help with the cooking, but there are other things I can do like laundry and housework. Then my mom will have more time to relax and be in a happy mood. Hello, my name is Chris Bishop. My New Year’s resolution is to read my Bible more. My brother Eric reads his Bible every day. He wants to be a minister when he grows up. Eric said that everyone should read the Bible because it tells us how to live a Christian life. Hi, I’m Rosemary Morgan Heddens, the author of The Handy Helpers book series. My New Year’s resolution is to keep writing books that will help my friends solve problems and grow in the way they should go.